We hand-curated a list of the biggest companies to work for headquartered in and around California using data on salaries, company financial health, and employee diversity. Synnex Corporation, founded in 1980 by Robert T. Huang and based in Fremont, California, is an information technology supply chain services company offering services to original equipment manufacturers, software publishers and reseller customers. The president and CEO, as of November 2008, was Kevin M. Murai. The Peace Officers Research Association of California (PORAC) was incorporated in 1953 as a professional federation of local, state and federal law enforcement agencies. PORAC represents over 70,000 public safety members and over 930 associations, making it the largest law enforcement organization in California and the largest statewide association in the nation. This dependable organization's duty is to provide Californians with the safety and security they need to feel protected in their homes and on our streets. Alorica, the Best CRM, BPO, Customer Service Solution. We make lives better…one interaction at a time-for our clients, customers, colleagues and communities. Ross Stores, Inc. is an American chain of off-price department stores headquartered in Dublin, California, officially operating under the brandname, Ross Dress for Less. Dignity Health is a California-based not-for-profit public-benefit corporation that operates hospitals and ancillary care facilities in 3 states. As such, it is exempt from federal and state income taxes. Dignity Health is the fifth largest hospital system in the nation and the largest not-for-profit hospital provider in California. Dignity Health was founded in 1986 by the Sisters of Mercy under the name Catholic Healthcare West. Bechtel Corporation (Bechtel Group, Inc.) is an engineering, procurement, construction, and project management company. It is the largest construction company in the United States and the 8th-largest privately owned American company in 2017. Its headquarters are in the South of Market, San Francisco. Concentrix, a business services company, is a subsidiary of SYNNEX Corporation since 2006. Trader Joe's is an American chain of grocery stores based in Monrovia, California. Dole Food Company, Inc. is an American agricultural multinational corporation headquartered in Westlake Village, California. The company is the largest producer of fruit and vegetables in the world, operating with 74,300 full-time and seasonal employees who are responsible for over 300 products in 90 countries. Dole markets such food items as bananas, pineapples (fresh and packaged), grapes, strawberries, salads, and other fresh and frozen fruits and juices. Dole owns a shipping line, Dole Ocean Cargo Express. TTM Technologies, Inc., founded in 1978, is a leading global printed circuit board manufacturer, focusing on quick-turn and volume production of technologically advanced PCBs, backplane assemblies and electro-mechanical solutions. The company has 29 facilities worldwide with over 31,000 employees. The markets it serves include aerospace & defense, automotive, cellular phone, computing, industrial & instrumentation, medical, and networking & communications. Its corporate locations are in Costa Mesa, CA, St. Louis, MO, and Hong Kong, China. Avery Dennison Corporation is a global manufacturer and distributor of pressure-sensitive adhesive materials (such as self-adhesive labels), apparel branding labels and tags, RFID inlays, and specialty medical products. The company is a member of the Fortune 500 and is headquartered in Glendale, California. Princess Cruises is a cruise line owned by Carnival Corporation & plc. Inter-Con Security Systems, Inc. is a US-based private security company headquartered in Pasadena, California. The company currently services Retired LAPD Detective Enrique “Hank” Hernandez and his wife Bertha Hernandez founded Inter-Con in Alhambra, California in 1973. Currently, Inter-con employs 25,000 persons in North America, South America, Latin America, and Africa. It remains a privately owned company. Since 1986, his son, Enrique Hernandez, Jr., has been president and Chief Executive Officer. The State of California's official Twitter account. Follow our updates. Leland Stanford Junior University is an American private research university in Stanford, California. BJ's Restaurants, Inc. is an American chain of restaurants, some of which contain microbreweries that also supply beer to the other restaurants in the chain. The locations with breweries use the name BJ's Restaurant & Brewery while the other locations use the name BJ's Restaurant & Brewhouse. Some of their beers have been awarded gold and silver medals at various beer brewing competitions throughout the world. Vons is a Southern California and Southern Nevada supermarket chain owned by Albertsons. It is headquartered in Fullerton, California, and operates stores under the Vons and Pavilions banners. Before the acquisition by Albertsons, it was headquartered in Arcadia, California. The Company is a provider of skilled nursing and rehabilitative care services. Williams-Sonoma, Inc., is an American publicly traded consumer retail company that sells kitchenwares and home furnishings. Hospira was an American global pharmaceutical and medical device company with headquarters in Lake Forest, Illinois. It had approximately 15,000 employees. Before its acquisition by Pfizer, Hospira was the world's largest producer of generic injectable pharmaceuticals, manufacturing generic acute-care and oncology injectables, as well as integrated infusion therapy and medication management systems. Hospira's products are used by hospitals and alternate site providers, such as clinics, home healthcare providers and long-term care facilities. It was formerly the hospital products division of Abbott Laboratories. On September 3, 2015, Hospira was acquired by Pfizer, who subsequently sold off the medical devices portion of Hospira to ICU Medical. The University of California, Berkeley is a public research university in the United States. Based in Modesto, California, The Save Mart Supermarkets is committed to sourcing a wide variety of local products ensuring that "fresh comes first" for neighborhoods throughout Northern and Central California and Northern Nevada. 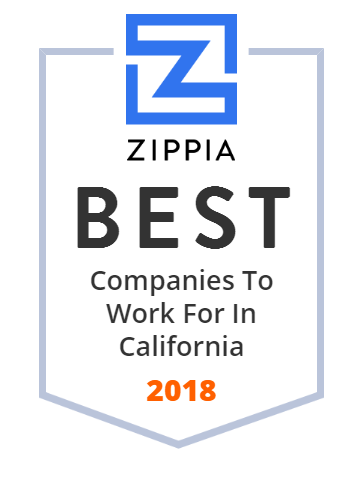 This leading company employs over 14,000 team members and operates 214 traditional and price impact stores under the banners of Save Mart, Lucky, FoodMaxx, S-Mart Foods, and Maxx Value Foods. In addition to its retail operation, The Save Mart Supermarkets owns and operates two distribution centers, Smart Refrigerated Transport, and Yosemite Wholesale Warehouse. 99 Cents Only Stores is an American price-point retailer chain based in Commerce, California. Founded in 1936, Stater Bros. has become an iconic Southern California mainstay and trusted household name by consistently providing generations of customers with exceptional quality, everyday low prices, friendly service, fresh product offerings and full-service meat departments. It currently operates 171 supermarkets in seven counties throughout the area, and has approximately 18,000 employees with annual sales of over $4 billion. The University of California, Davis, is a public research university and land-grant university adjacent to Davis, California. Edison International is a public utility holding company based in Rosemead, California. Keysight Technologies, or Keysight, is a US company that manufactures electronics test and measurement equipment and software. In 2014, Keysight was spun off from Agilent Technologies, taking with it the product lines focused on electronics and radio, leaving Agilent with the chemical and bio-analytical products. SolarCity Corporation designs, permits, finances, installs, monitors, maintains, leases, and sells solar energy systems in the United States. It offers solar cells, installation and mounting hardware, financial products, electrical hardware, monitoring solutions, and related software. The company also sells electricity generated by solar energy systems to customers. It serves residential homeowners, commercial businesses, and schools and universities, as well as federal, state, and local government entities. The company was founded in 2006 and is headquartered in San Mateo, California. Since its establishment in 1937, Orange County Employees Association is a public sector union in Orange County representing approximately 18,000 workers, that strives to make positive changes in the lives of working men and women and their families. The company's line of business includes membership organization of workers for the improvement of wages and working conditions. OCEA members work for the County of Orange, Orange County Superior Court, and various cities and districts throughout Orange County. The association is headquarted in Santa Ana, CA. Fillmore Capital Partners develops, manages and distributes investment vehicles for institutional and private investors. Raley's Supermarkets is a privately held, family-owned supermarket chain that operates stores under the Raley's, Bel Air Markets, Nob Hill Foods, Food Source and Market 5-ONE-5 banners in northern California and Nevada.